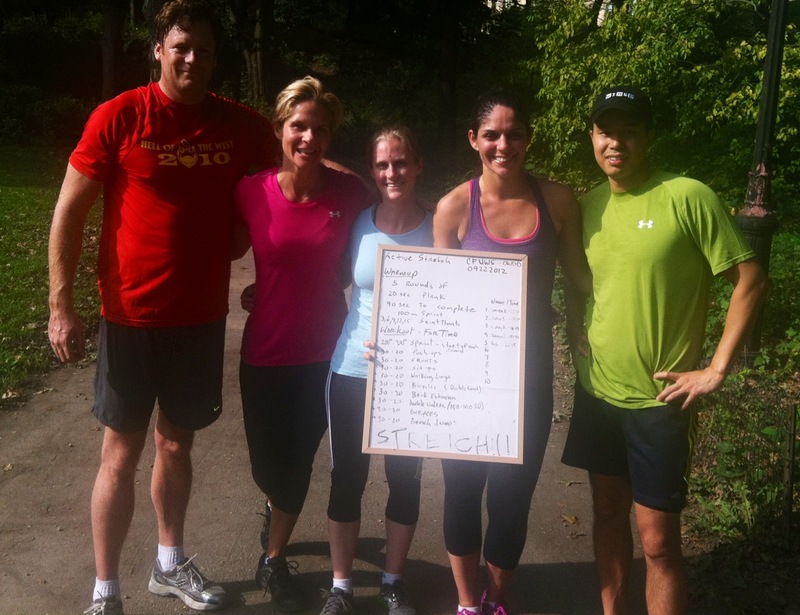 Posted on September 26, 2012, in Fitness, Health and tagged Box Jumps, Burpees, Central Park, CrossFit, Double-Unders, Laura DeAngelis, New York City, Outdoor Workouts, Personal Fitness, Roberto Murichi, Squat Thrusts. Bookmark the permalink. Leave a comment.